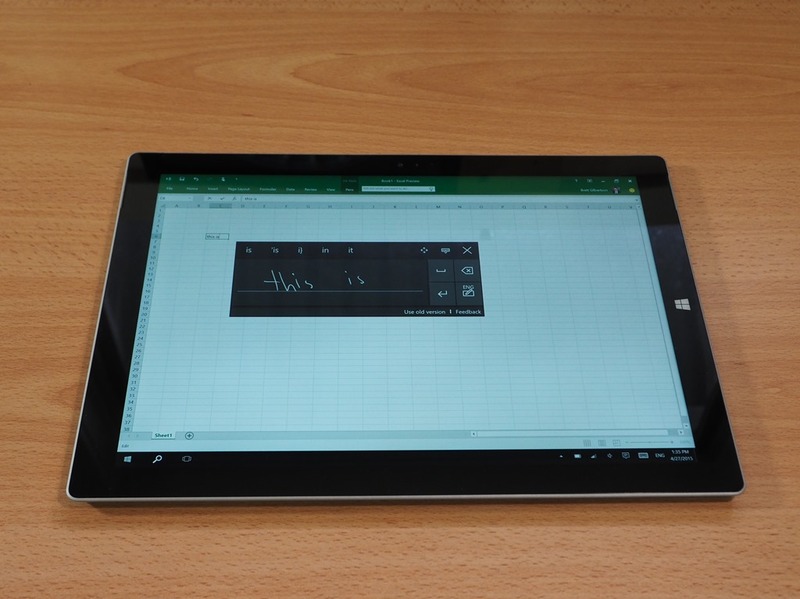 This week we took a moment to try out the Windows 10 technical preview on a Surface Pro 3 Tablet. 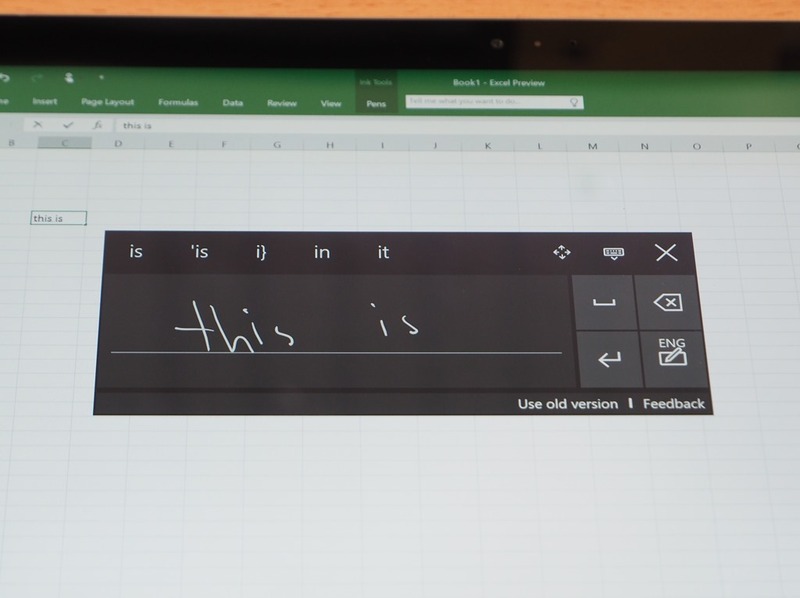 The main thing that we wanted to see in Windows 10 was the new handwriting input panel concept that has shipped in build 10061. First though, I would not recommend even trying Windows 10 on your personal device. It’s not ready yet! There are a lot of changes in progress, and what we’re looking at now is not even close to a final product. However, we are interested in the changes to the handwriting panel because many Windows 7 handwriting users felt that the move to Windows 8 was a big step backward. Sure the Touch Keyboard in Win 8 was vastly better than the Win 7 equivalent. But the floating yellow handwriting input panel in Windows 7 offered a lot more flexibility. 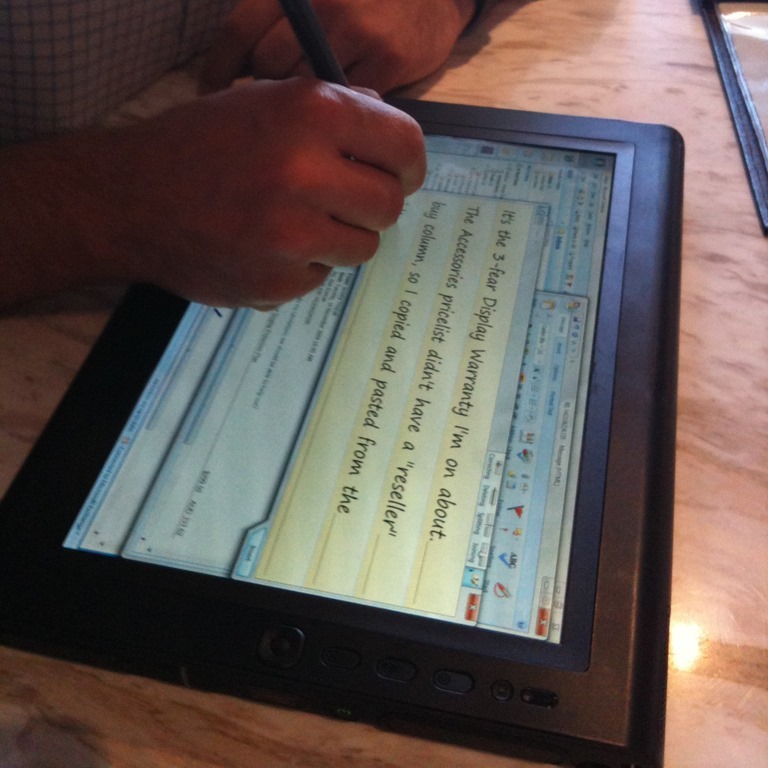 The actual handwriting recognition capabilities didn’t change much between Windows 7 and Windows 8, but for the sake of consistency we were forced into the black keyboard sized box above. I got used to it, but many long time tablet users hate it! In this concept, text is converted and directly entered as you write. So in that way it works more like a keyboard. You hit the space button to clear the panel and start a new line. The panel is smaller than the keyboard and pops up near your cursor. It is exciting that the Windows developers are paying attention to this important tool once again! Great things for Tablet mode. No doubt there will be some change to get used to – whether you are coming from Windows 7 or Windows 8.1 – but from what we are seeing now, Windows 10 will be worth adapting to. But you don’t need to wait for Windows 10, here is a list of tablets that will be ready for Windows 10 when it ships mid-year.